The theme of this year’s College of Podiatry Annual Conference and Exhibition held in Bournemouth was Podiatry for Prevention – Making a Difference. 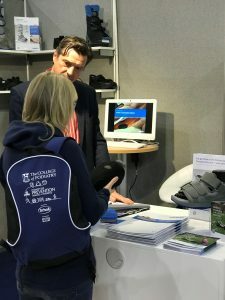 Caroline Shepherdson, Marketing and Sales Manager for V-M Orthotics Ltd was joined by Rainer Kalleitner, International Sales Manager for DARCO Europe at the DARCO stand. The Relief Insert Walker was featured as a new product to the UK along with the AllRound Shoe®. 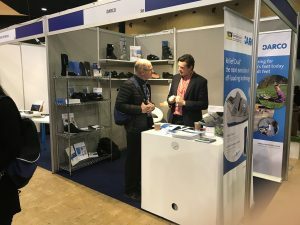 Podiatrists coming along to the stand also showed particular interest in our range of insole systems which included the latest edition, the new PegContour® Insole, both round and square toe versions. It was a busy three days with visits and demonstrations now being planned and samples and literature requests being fulfilled.